Police on Thursday filed a chargesheet against six gazetted officers in the cash-for-job scam of theAssam Public Service Commission (APSC). The chargesheet was filed at the special court, Assam, here under Sections 12 and 13 (2) of the Prevention of Corruption Act, 1988 and Sections 109 (abetment), 120B (criminal conspiracy), 420 (cheating), 465 (forgery of record of court or of public register), 468 (forgery for purpose of cheating), 471 (using a forged document as genuine) and 201 (causing disappearance of evidence) of the IPC. This is the fifth chargesheet filed by Dibrugarh police in connection with the APSC recruitment scam. The accused officers chargesheeted on Thursday are ACS officers Kaushik Kalita, Rituraj Gogoi, Satyajit Sarkar, Abhisek Borbora, Jaydev Mahanta and Barnali Devi. Police have enclosed with the chargesheet the details of the forensic report of their handwritings and answer scripts. Dibrugarh ASP Surjeet Singh Panesar, who is probing the cash-for-jobs scam, said that the answer scripts of six chargesheeted officers found to have forged. “Four APSC final examination answer scripts each of the six officials found to have manipulated,” said the investigating officer. He further said that police have gathered evidences against 20 other ACS, APS and allied service officials, who secured job through unfair means. 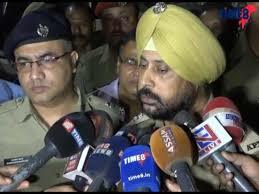 Sources said Dibrugarh police is very soon likely to arrest the officials. The Dibrugarh police registered a case in October 2016, when a job aspirant, Anshumita Gogoi, lodged a complaint that Nabakanta Patir, an engineer, had offered her a government job through APSC if she paid a bribe of Rs 10 lakh.